The 14 year old plays Barbies with her 10 year old sister. A wife watches a cheesy, action movie with her husband. A husband goes on a walk with his wife at the end of a busy day. And on and on. What do all of these have in common? They are examples of showing love by enjoying something that another person loves. Oh, the sister, the wife, and the husband may very well enjoy Barbies, actions movies, and walks, but in these instances, they are playing, watching, and walking purely to show love. What the other person values, they will value, because that is loving as they want to be loved. This is not an easy skill to learn. Many a child, and even adult, have said, “I don’t care about that. I don’t want to do it.” And that may be true. People we love have interests that we don’t have. But nothing shows love to another like spending time doing what the other wants to do. It is a skill long lost. 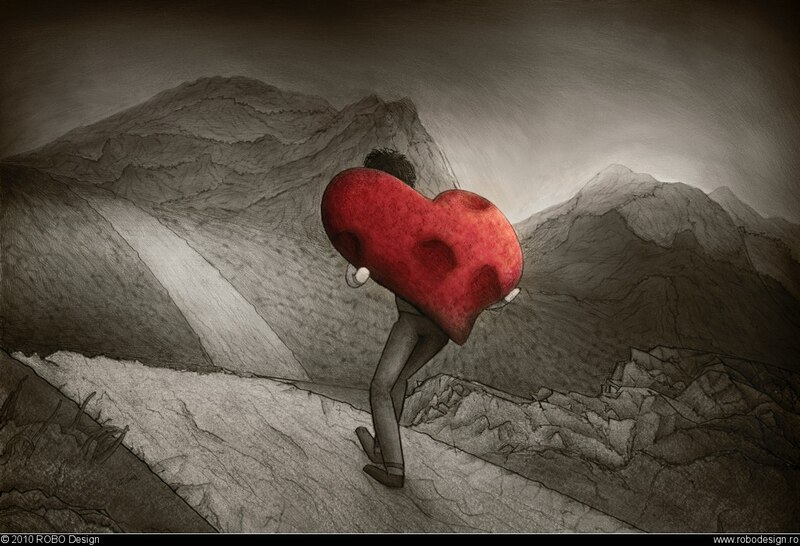 It is a passion that needs to be revived. At first, it is discipline. In the long run, it is an act of love. How can you love what someone else loves today to show them you care? Your joyful presence will say more than many words. How can listening to your feet improve running and your relationship with God? On a recent mid-week run, I was cruising along listening to my favorite podcast. There was the typical fatigue that mid-week anything brings, but this run was more difficult. Something else was going on. What was it? In a rare moment of silence during my 1.5x speed podcast, I heard it. The balls of my feet were striking the ground, not propelling me. The way my feet were landing was actually fighting each step I took (that is a good way to get shin splints btw). The correction for this is easy: correct your posture, swing your arms like pendulums, and elongate your step. The next thing I knew, I was running confidently, faster, and with less fatigue. I would never have discovered these things had I not listened to my feet. This is true spiritually as well. In our relationship with God, lows are common, but we often don’t know the source. And just like my running with podcasts, there are too many distractions for us to actually know the cause of those lows. Recently, I enjoyed leading 7 couples of church officers, future church officers, and their families in a roundtable Q&A about life in church leadership. We talked about time demands, family demands, church stresses, and unspoken expectations from church members. In the evening, my lovely wife helped me process the conversations. She highlighted that I missed stressing the joys of Gospel partnership and instead, over-emphasized the challenges. As is typical, she was right. How did I miss that? I love preaching the Gospel. The Gospel is the basis solution for everything we do and the drive of my ministry. The answer? I hadn’t taken time for silence to hear what was going on in my own heart. Upon reflection, and in a bit of silence, I realized that I was struggling with ministerial disappointment and with my expectations with God. That struggle affected the tone of my leadership in that conversation. 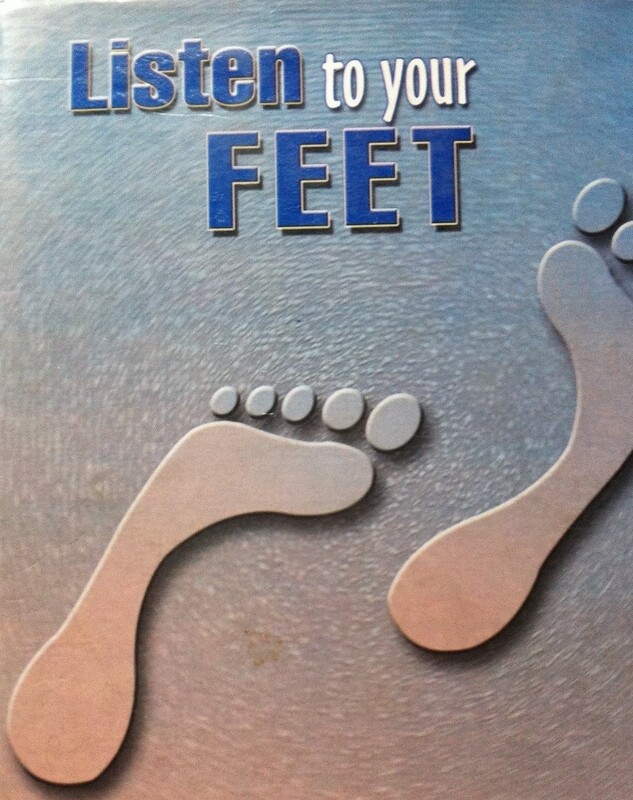 So, whether in running or relationships (with God or family), listen to your feet. Where are you dragging them and where are you stumbling? That time to listen will teach you much about your heart and will teach you where to make changes. I am now a fatherless son. I have been blessed with an amazing father and father figures throughout my years. And while every man sits under the influence of his father (good or bad), I know that I would not be who I am without their influence, and by God’s grace, I am thankful. But in less than a 4 year period of time, my father, my mentor, and my father in law have all passed. I have written much since Thom Duncan passed in 2012. Truly a great, talented, Godly man, “Sam,” as I affectionately called him, was amazing. An accomplished pianist, interior designer, floral designer, teacher, and pastor, Sam had more gifts than most collections of people could hope for in a span of generations. When he died, I could not remember 5 arguments between us, though the few that came to mind were memorable. I was corrected by him countlessly, but the arguments were either rare or have faded from memory. In an amusing re-telling, one of our more serious conflicts was resolved by theologian RC Sproul when I convince RC to say hello to my dad from the PCA General Assembly floor from a cell phone. Sam was an amazing father in that he wanted so many things for me but allowed me to pursue them at my own pace and with little meddling. When I was ordained as a pastor, it was one of the happiest days of his life. At his passing, I could only look back and reflect on his unwavering love and approval of me despite my many sins and flaws. In 2013, my mentor, Terry Traylor, passed. He was the closest to Superman as any man that I ever met. Wise beyond his years, respected by nearly everyone he knew, and ridiculously strong (physically and spiritually). While I wouldn’t have been a Christian without my father, I definitively know that I would not have been a pastor had not Terry confidently said, “I think you should be a church planter. Let’s get you into seminary.” Terry gave me ear anytime I needed despite his insane schedule. He gave me wisdom, often without even realizing that he was giving it (and without me even realizing I was receiving it). Like my dad, I had few conflicts with Terry, though the few were epic. Unlike my dad, his death was sudden. 24 hours prior to his passing, I had a lunch and a bull session with Terry that was filled with his usual big laughs and big wisdom. At his funeral, all I could do was confess that I didn’t deserve a father figure like him. Even in death, Terry displayed grace. And on New Year’s Day of this year, my father in law, Jack, passed. Now, Jack and I knew how to fight, but we also respected and loved each other. While Sam and Terry entrusted me with mission, Jack entrusted me with his daughter, my wife, Amy. Because of that, I have to think Jack had more faith in me than the others. There were times we wanted to strangle each other, and on Christmas Day, I literally had to chest compress him back to life after a heart attack. But just like Sam and Terry, I know that I would not be a pastor without Jack’s influence. Soon after meeting, he encouraged the bible study I was leading to come under his church’s accountability. He asked me to lead worship in singing at his church alongside Amy. He loaned me countless books, and I do not have a number of the John MacArthur tapes he gave me. Even his funeral inspired me. I walked away thinking, “I want to be more Godly.” His passing hurts as it turns the page onto yet another stage of my life, as well as my wife’s. She could easily write, “I am a fatherless daughter,” as she shared similar relationships with all 3 men. So, at the young age of 45, my formative mentors have passed. Others are beginning to take their place, and I am growing into the role of being father figures for younger men. To my dread, I pray that I can father the young men who marry my daughters. Galatians 4: 6 Because you are sons, God has sent forth the Spirit of His Son into our hearts, crying, “Abba! Father!” 7Therefore you are no longer a slave, but a son; and if a son, then an heir through God. 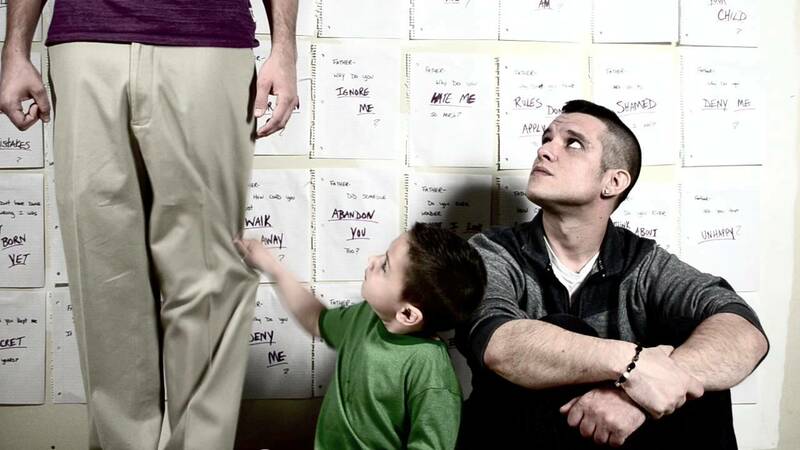 No believer in Jesus is fatherless. In fact, the fatherhood of the Christian is inseparable and more intimate than any earthly relationship. Our faithful brother, Jesus, has made us children of God, and the Spirit of God moves in our heart (my heart) to cause me to cry out, “Abba Father!” – the most intimate name of God of all. And now, because of that inseparable security, we live not as slaves to sin or this world, but as heirs to God. Thank you Sam, Terry, and Jack. I know that I am the man that I am and that I am set on a course that is far more joyous and great than any other that I would have chosen. Introducing, sharing, and explaining our faith in Christ to our children is the desire for many parents. How do to that is not always that easy. Additionally, the structure of families is not always consistent. Some families don’t have children. Some families include grandparents, many have step-parents, many are solo parenting, and a few have both mom and dad. In light of all of those intricacies, how in the world do we introduce and deepen the faith of our families? While each of the described above deserves its own book, this one is designed to help families with children. And since, the makeup of those families may look different in every household, we will typically just address “parents” and allow you to customize it as you read it. But the central idea is to create a simple, easy to approach book for you and your kids. 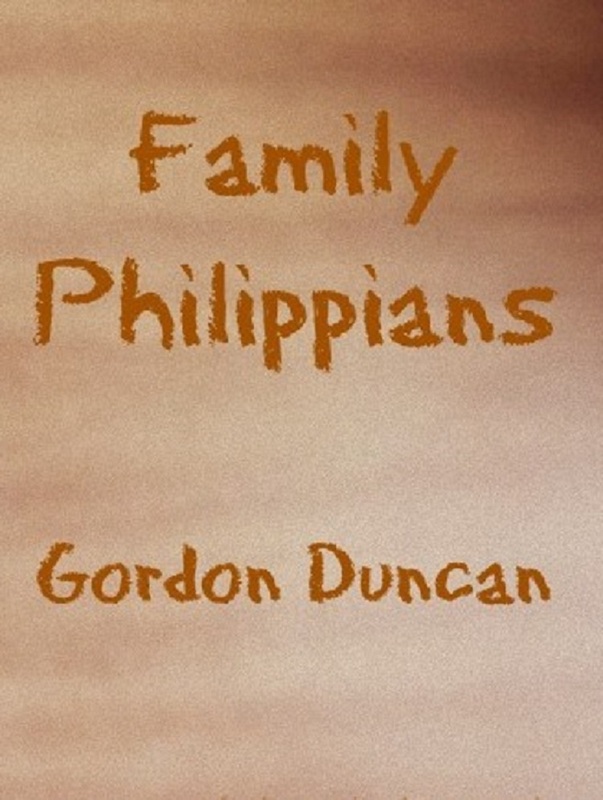 So towards that end, “Family Philippians” was created. As you work through these pages, you and your family will walk through these steps. Each chapter will give you a section of Philippians to read, there will be a brief paragraph to explain and deepen an understanding of the passage, there will be a few questions to answer, and then, there will be a guided prayer time. At the end of the book, you will have covered the every verse of Philippians. Ideally, each chapter should take no more than 10 minutes, but hopefully, that investment will last a lifetime. As you undertake this adventure, please know my prayers accompany your efforts, and I would love to hear from you about how it all goes. While I’m likely to issue a press release every time Evident Grace twitches, and I’ve worn all of you out on Facebook every time I write a new book, I am not typically issuing updates about my health. However, since a few of you have heard about what’s going on with me, I thought I would send out a prayer update. To begin with, I’m fine, but the doctors have diagnosed me with an epileptic condition as I am having what they call “silent seizures”. As always, things like this work best in story. Last year, around the time my father (Sam) passed away, I began have pauses. A pause is when all of a sudden, in the middle of a conversation or even driving down the road, I just stopped talking. I couldn’t talk if I wanted to say anything. As many of you know my pace, pausing is not something I typically do. But if I was in the middle of a conversation, I would all of a sudden just stop. I felt the moments coming on, and I was aware that I was having them. 10-15 seconds later, they would go away. In October of last year, I had a yearly checkup and told my doctor about them. After hearing that I had lost both of my parents over a five month period, that I was switching jobs, and that I was moving out of the state, he chalked them up to fatigue and stress. So, I did too. 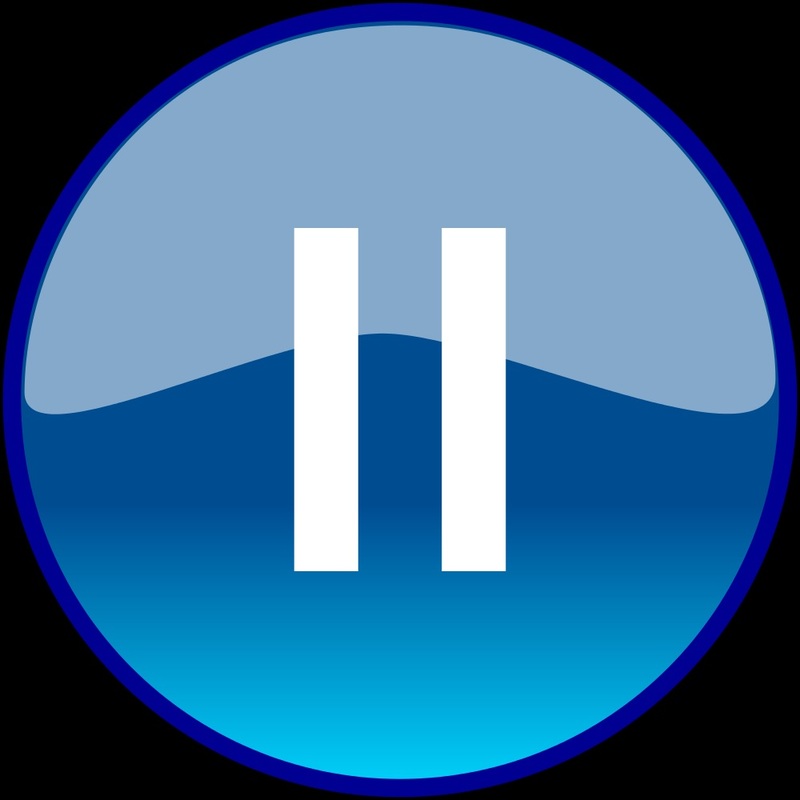 But over the past few months, these pauses began to increase in frequency. I was having them at least twice a week. And, on an occasion or two, I spoke some pretty non-sensical things that I didn’t remember saying. 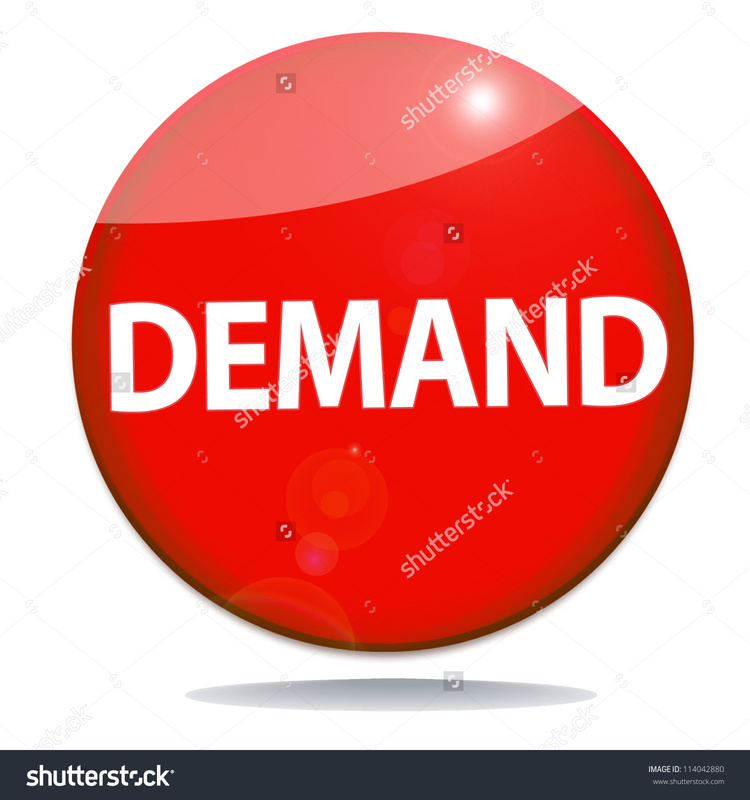 I even had them in two sermons which most of the congregation chalked up to a movement of the Spirit or perhaps a frustration with the crowd. We have a doctor at Evident Grace, and I asked him to keep an eye out in case I ever had one around him. He was at one of those sermons where I paused, and he recommended that I see a local neurologist that he respected. So, about a month ago, I had my first appointment, and the doc suggested that I have an EEG and an MRI (one of those strange acronyms that begins with a consonant yet demands an “an” before it). The MRI came back negative, so we know that it’s not a tumor (said in my best “Kindgarten Cop” voice). However, the EEG showed some brain abnormalities on the left hand side. The doc has prescribed some anti-seizure meds, and they are working so far. They do, however, make me incredibly sleepy, and this is to be expected for the first month as my body adjusts. So, that’s where we stand. I may have more tests to go as the types of seizures I’m having are rare in adults, but the primary plan right now is to get used to the meds and keep track of any more moments that I might have. I appreciate your willingness to read this diatribe, but I do desire your prayers. These moments have been incredibly stressful to Amy and the girls. I’m slogging my way through my new meds, and we are praying that nothing about this worsens. Evident Grace is aware of what’s going on, and everyone has been incredibly encouraging and prayerful. I just need to be wise about my pace with them, with my family, and with my training schedule. If I need rest, I need to get it. Thanks for your prayers, and feel free to email me back with any thoughts or questions. I do really appreciate how much Amy and I can depend on you guys for prayer. 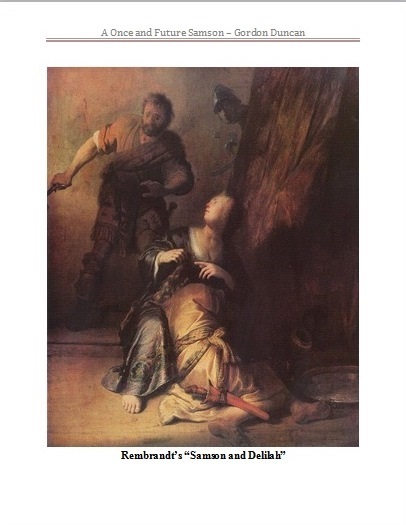 If Samson were alive today, he would have a million Twitter followers, tweet things like “great #honey last night what a blast lol”, and the world would love him. That is, the world would love him until he made every mistake under the sun and TMZ started covering him. With those things in mind, one must wonder what relevancy does Samson still hold? Is he a picture of what believers can be when they trust from the Lord and turn from their idols? Is he a picture of what will happen if men pursue their lusts and thus an antitype of say, Joseph? Is he a foreshadowing of Christ? Truly, whenever we see a biblical character succumbing to sin, the believer should be on guard lest he fall. Whenever we see a biblical character achieve victory, we should rejoice that God is gracious. But these kinds of examples miss the point of Samson, nearly completely. The takeaway is that God moves, enlivens, empowers, and delivers despite the sinfulness of His people. With these thoughts in mind, please check out “A Once and Future Samson” available as both a Kindle Single and PDF download. It is a simple, concise, and hopeful look at God’s work among even the worst of us. Excited for the arrival of “Is a Good Man Hard to Find?” in all formats. 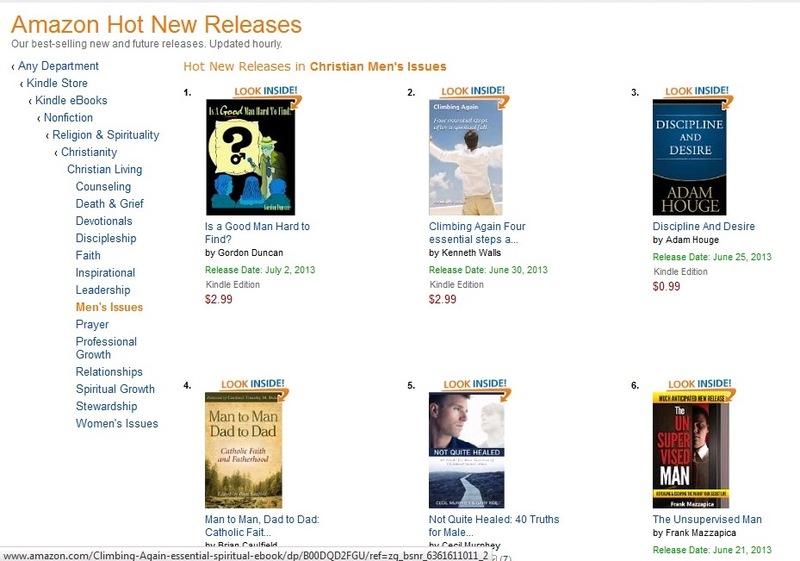 Amazon has it listed as the #1 New Release for men, and thanks to all of you, it is already in the Top 50 of both Men’s Issues and Church Leadership. The design of “Good Man” is to enable invidiuals, families, and churches to develop and sustain efforts to identify and train Godly men. The book focuses on four areas: Home Life, Thought Life, Church Life, and Community Life. I hope this is a simple, helpful resource. If so, please let folks know about “Is a Good Man Hard to Find?”. 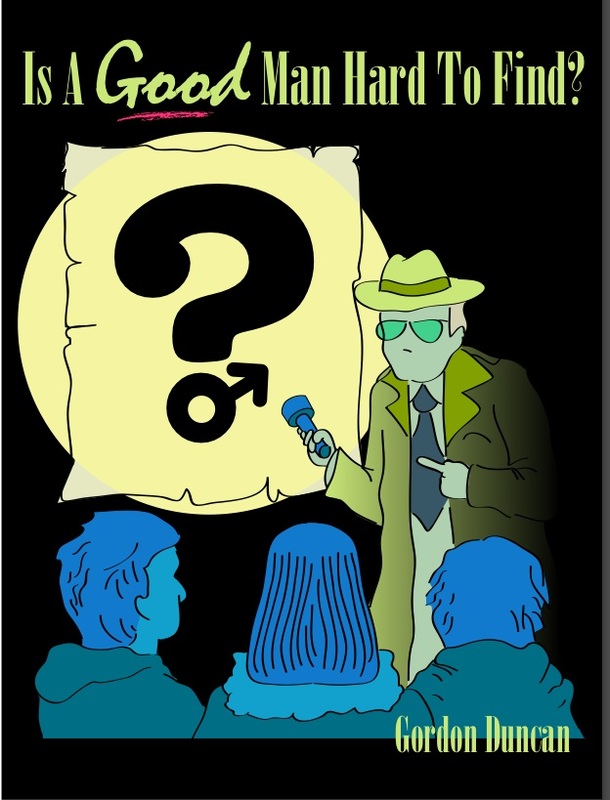 You can find “Is a Good Man Hard to Find?” in several different formats. Why another book about men, Godly men, training Godly men, elders, and all of that stuff? The simple answer for another book is that we need to keep looking at the scriptures, looking at what we’ve done (and not done), asking good questions, and then we need to look at the scriptures again. And hopefully, in the process, we will see Godly men grow, be raised up, and reproduce themselves for the church, for the good of everyone involved, and ultimately to the glory of God. This book is a humble attempt at just those things. Available July 9th everywhere, “Is a Good Man Hard to Find?” hopes to be an honest confession and guidebook to help us get there. The cover art was designed by the ridiculously talented Jay Holmes, and any errors within are mine. I’ve included the Introduction below to give you an idea of where things may go. Thanks for considering this. I’ve been through leadership training in a bunch of different arenas. I’ve been to public school teacher training. I’ve been to sales meetings. When I managed an eye doctors’ office, I went to the optometric national conference every year. As a seminary student, I was trained to death. In the church, I was trained to be a lay ruling elder and a pastor teaching elder. All of those involved tests, both written and oral. Once I became a church planter, I was entrusted with the task of training elders and deacons. I don’t tell you all of that to say that I know what I’m doing. I tell you because at this point and time, I wonder if any of us do. Churches often ordain influential, successful men thinking that their earthly success and wisdom will result in spiritual success and wisdom. That’s possible, but it doesn’t always work out. Another temptation is to completely focus on doctrine thinking that a right thinking man is a Godly leader and shepherd. That is possible, but that is not always the case (and it doesn’t always work out well). Sometimes elders and leaders move from one city to another and think that they should already be made leaders in any new church that they attend. Again, it might work out, but that kind of assumption doesn’t take into account context or mission. So what do we do? What do we emphasize while seeking to be fiercely biblical? Well, in my humble opinion, I would suggest three essential qualities and one really strong recommendation in a Godly elder. Now, let me say this. These should be qualities that every Godly man aspires to, so they should apply to deacons, leaders, and men in general, but this book’s emphasis is on elders. First, that man must have a personal holiness that enables him to lead his family in a self-sacrificing manner like Christ led the church. We will call that Home Life. Secondly, that man must have a firm and deep theology that is consistent with the body to which he hopes to lead. We will call that Thought Life. Thirdly, that man must have the ability to perform the office to which he aspires. If he seeks to be an elder, he must be able to shepherd. If he seeks to be a deacon, he must be able to serve. We will call that Church Life. And finally, I would suggest from both practical and Biblical example that that man should have non-wavering agreement with the specific mission of that church. We will call that Community Life. To get us there with these thoughts, we look at the biblical qualifications of a leader in scriptures. Those qualifications will expound on the ideas surrounding our first two qualities (Home Life and Thought Life). Then we will look at the ability to shepherd (Church Life), and then we will conclude by discussing the mission of the church (Community Life). Hopefully, in the end, we will all walk away with Godly men who lead their families well, have a firm and consistent theology, who own the mission of their church, and have the ability to live out the office to which they take vows. Thanks for taking the time to even consider these things.